Another month comes along and so does another Glossybox*, and this month's theme as you're read in the title is French Riviera which is super exciting because that just screams summer. 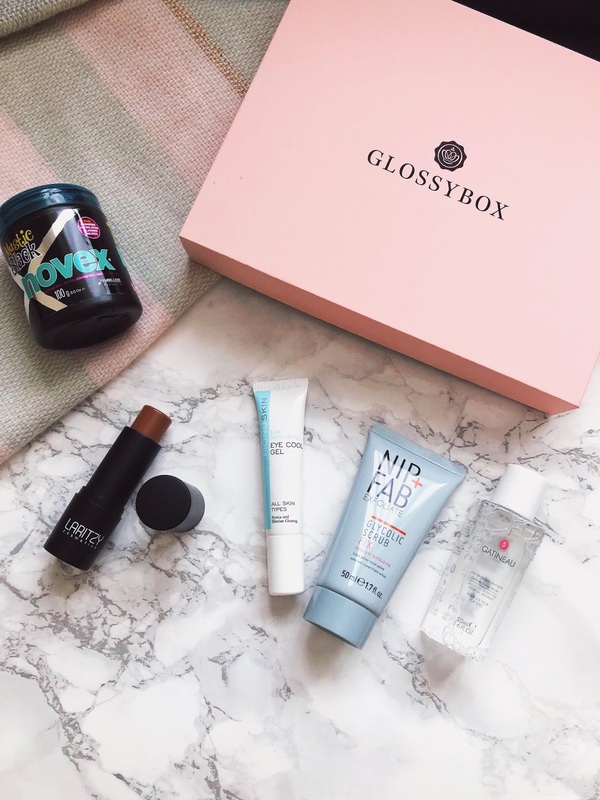 I've never been to fabulous and glamorous Nice, Cannes or Monaco but these destinations are definitely on my wishlist until then, Glossybox promises to bring chic and sophisticated French beauty to us with this box so let's see how they did. 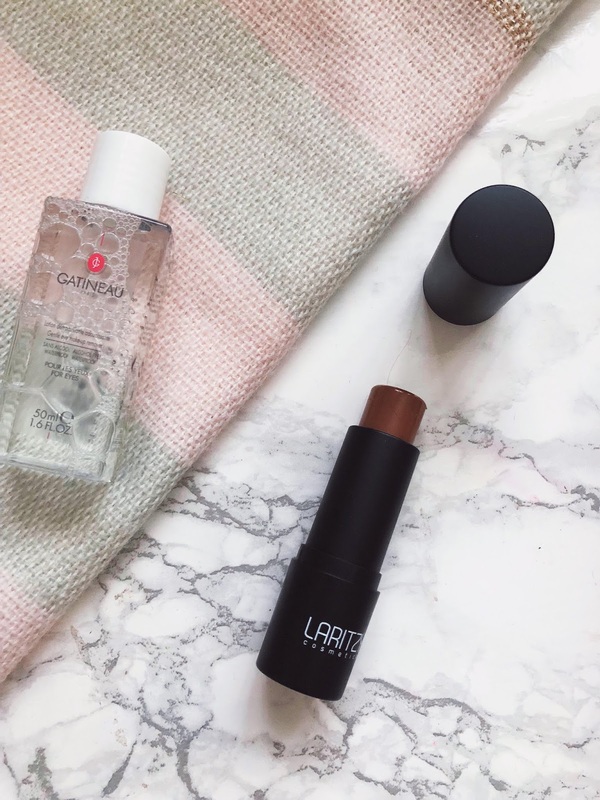 With a mix of beauty, skincare and also haircare I'm excited to explore more and find out why these products have been named cult favourites! Read on to find out more! Starting with skincare, I had heard of this brand but I had yet to try anything from them. This exfoliator claims to refine and brighten the skin, which is exactly what I want this summer. It contains 3% glycolic acid known as the holy grail for exfoliation, effectively removing the outer layer of dead cells from the complexion, revealing brighter, fresher skin. 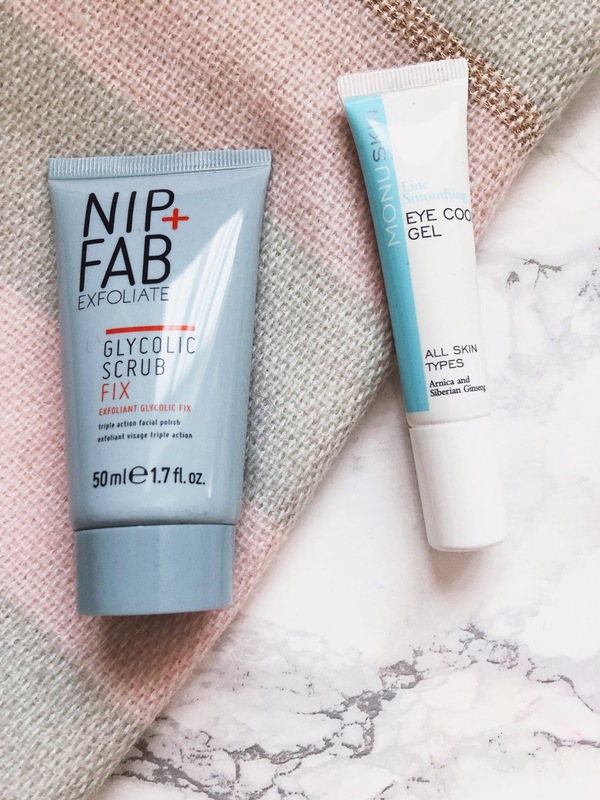 Products that contain Glycolic Acid are used often to treat scarring, skin discolouration and signs of ageing, like fine lines and wrinkles, and whilst this doesn't really promise that I would love to see how it does in that department. Excited to give this a try, and if you want a more in-depth review after I've used it for a while, do let me know! Ah, eye gels. I've tried numerous different ones and I have yet to try my holy grail product. This promises to soothe and refresh tired eyes (aka my eyes) by delivering immediate results. I've come to a point where I will try anything on dark circles so I will report back on how well this does at hydrating and brightening that area. A tad expensive for an eye product but if it works, it will be worth it. Moving on to beauty, this makeup remover is said to be a French classic from a brand that has been around for more than 80 years. Oil-free and formulated with cucumber, green tea and Aloe vera, this remover is suitable for my sensitive skin and I look forward to seeing how this does at removing daily makeup as well as my heavier looks. This sample size is also going to be perfect for taking on holiday with me at the end of the month; gotta love samples. From the French-Canadian brand, this creamy bronzer/contour looks great to create that sculpted yet healthy glow look we all love for the summer. This is also cruelty and paraben free, which is always a plus and despite looking a little dark and harsh in the swatch it does blend pretty nicely when warmed up with my fingertips. Again, one to take on holiday as it seems really easy to apply, and that is exactly what I want as I would rather spend time by the pool then putting on makeup! And now onto my favourite product of the box, this hair mask which is all the way from Brazil, my home country. Quite surprised to see a Brazilian product in a French-inspired box, but after spending so many days on the beach your hair will need a little TLC so I'm glad to see this in the box. Again, and I keep banging on about it, this is on my list of beauty products for my summer holiday as it claims to keep locks hydrated, get rid of frizz, tangles and split ends. 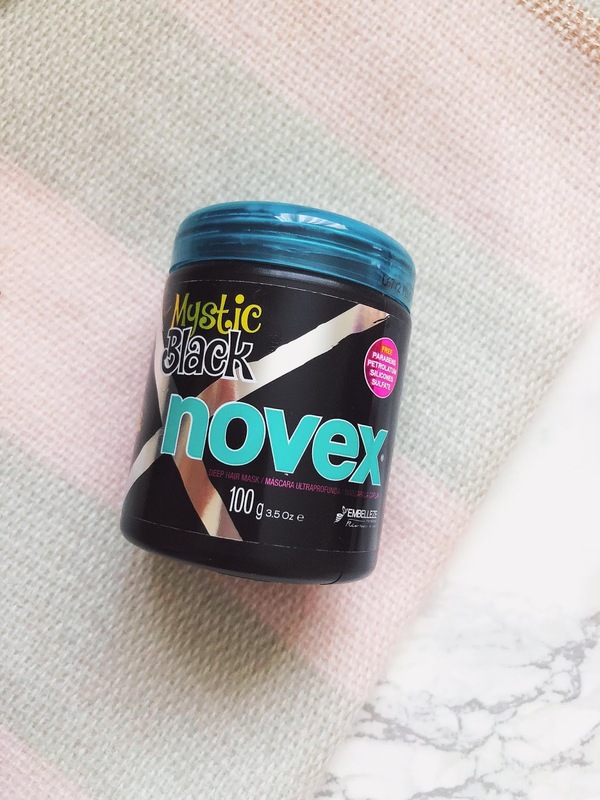 It is free of all nasties and this product couldn't have come at a better time as my hair is in desperate need of all that even before I jet off! So there you have it! 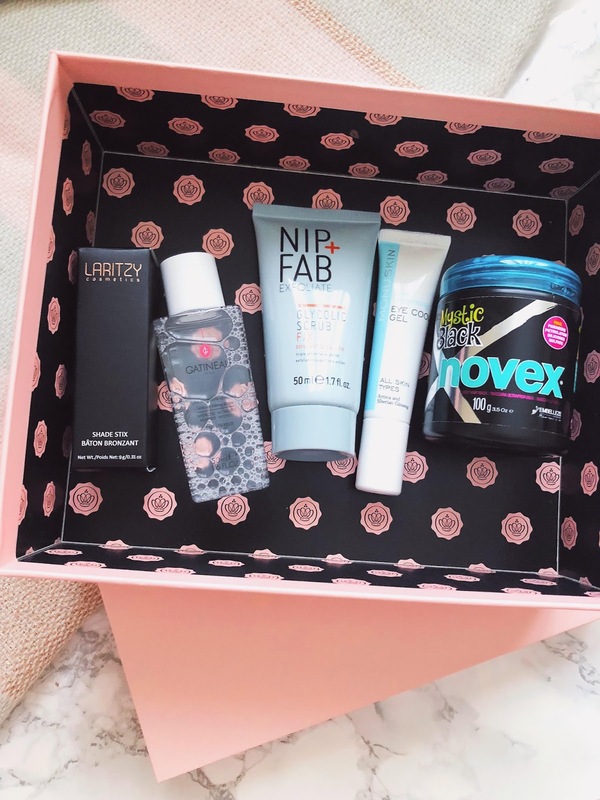 Not my favourite box of all time, I will admit but the hair mask and skincare products do look pretty amazing and are definitely putting me in a glam holiday mood. And, don't forget to use 'PAM15' at the checkout for 15% off one-month subscriptions (valid until the end of this month). Thanks for reading beauties, I will be back next week with more fashion, beauty and lifestyle! 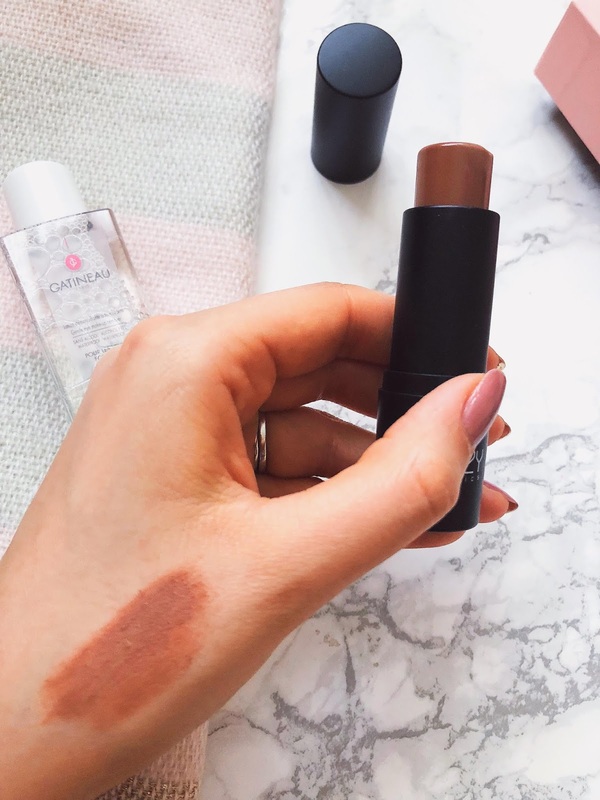 I'm not a massive fan of cream contour but it does look pretty good doesnt it! I could do with a good eye gel as hayfever makes my undereyes puff up, which is very frustrating. I haven't yet found one I want to try. Oh no, and they say hayfever has been pretty bad these past few days! Hope you're alright! Nice products! Especially that creamy bronzer sounds interesting! I actually like everything that I see here! LOL! Nip+Fab is one of my favourite skincare brands of all time, Gatineau is a great brand and the stick bronzer is great! These products sound really nice, and you for sure get a lot for the price. I love the box it came it! I never try eye gel but after reading this makes me want to try it. Such a gorgeous box full of nice product. Great items, the hair mask looks and sounds really good! And it is! LOVE it! Off to buy that gel! haha thank you!!! That NIP+FAB GLYCOLIC SCRUB FIX looks really interesting. I'd love to try that. Thanks for sharing dear. Oooh - this looks lovely and all the photos are beautiful! Loving the products and they all look so nice for the summer months, especially the Gatineau eye make-up remover!! They are all pretty amazing :) thanks for the visit beauty!